Mobile adaptive format missing for this video! Published with VideoWhisper Video Share VOD. 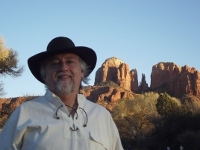 The founding member of Terra Cotta, Russell is a guitarist, composer, educator, writer, and avid hiker. His love for the beautiful trails of Sedona, Arizona has been a great source of creative inspiration. He believes that a close connection to nature brings comfort to our souls and spirits, and tries to capture and reflect that in his music and in this blog. You can email him at russell@terracottamusic.com. The founding member of TCM, Russell is a guitarist, composer, educator, hiker, and now (!) a blogger. He believes that nature has a profound influence over us, and hopes that his work will point people in the direction of the natural world that is all around us. You can email him at russell@terracottamusic.com. kholland on Does This Stress Make Me Look Fat?